From a very young age, Dr. Bachurina has had a passion for skincare. Dr. Bachurina is a native to Russia, where she received her M.D. with a concentration in Dermatology. After moving to the United States 13 years ago, she finished her U.S. residency as a specialist in Internal Medicine. Dr. Bachurina and her family relocated to Colorado in 2013. When asked what she loves most about living in Colorado, Dr. Bachurina says, “Wow! What a beautiful place we live in. The mountains, the snow and the sun, we are so lucky to live in such a beautiful place where the outdoors and physical activities are such a great part of the Colorado culture.” Healthy living is what really drives Dr. Bachurina and contributed to her wanting to open La Beauté Medical Aesthetics. The medical spa is located in the beautiful Highlands- Sloan Lake area (29th and Tennyson). La Beauté Medical Aesthetics wants to help maximize the efforts of beauty and health providing aesthetics services to those who need it. Dr. Bachurina has a passion to explore new ways of making procedures more effective combining her knowledge in internal medicine with dermatology and aesthetics. 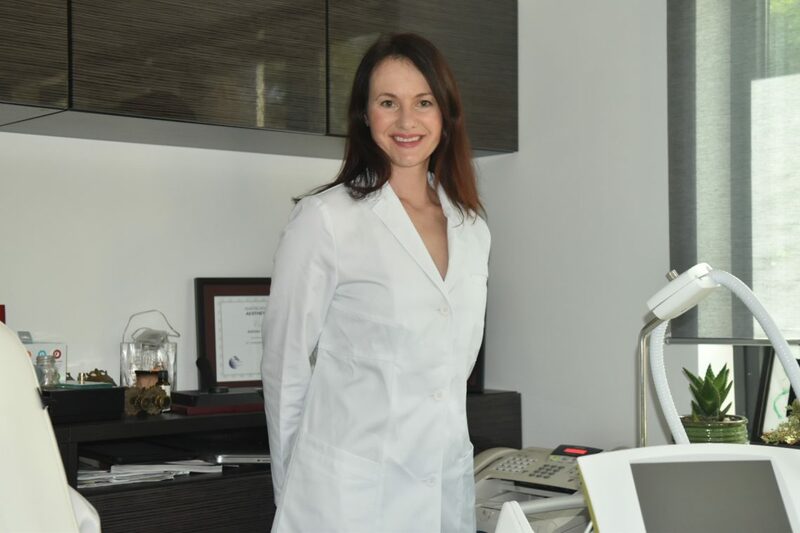 Dr. Bachurnia is committed to combining the latest technology in her medical spa with the oldest traditional approaches to find the best solutions for her clients. Led by a passion for making you feel your very best and a dedication to our high standard of excellence, we work hard to be the best in our industry. We understand that the way you look is important because it can affect your confidence and how you present yourself. Our ultimate goal is to enhance and improve those areas on your body that are limiting your ability to feel your best. By utilizing only the latest, most up-to-date technology and a cutting-edge approach to personal aesthetics, we have helped countless people improve their appearance and how they feel about it. We specialize in non-invasive procedures such as skin rejuvenation, vaginal restoration, Botox®, and body contouring. However, we are also highly experienced in every aspect of non-invasive cosmetic treatments. Led by Dr. Marina Bachurina, La Beauté is a certified member of the American Board of Internal Medicine and the American Academy of Aesthetics Medicine. With almost a decade of combined experience, our staff promises superior patient care backed by years of unequivocal expertise. During your consultation, we will determine your unique needs and make sure that you are comfortable and well-informed regarding every aspect of the procedure. Because of our firm dedication to excellent patient care, we offer clear, consistent, and transparent communication at all times. Our medical operations are also overseen personally by an on-staff physician during business hours. If you have any questions or would like to set up a consultation, call us today.